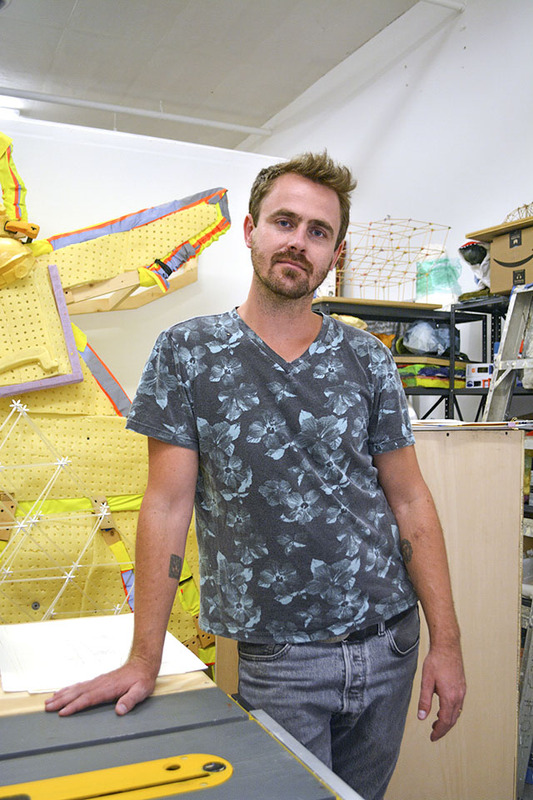 Jeremiah Hulsebos-Spofford is a visual artist and Assistant Professor of Sculpture at Indiana University Northwest. He is also the co-director and founder of the collective Floating Museum. His work has been shown at the American Academy of Arts and Letters, The UCSD Art Gallery, The Glass Curtain Gallery and The Hyde Park Art Center, among other spaces. He has held fellowships at the Sculpture Space, the MacDowell Colony, Vermont Studio Center, the Brown Foundation Program at the Dora Maar House, and the Skowhegan School of Sculpture and Painting. His work has been supported by grants from the Foundation for Contemporary Arts, the Harpo Foundation, the Propeller Fund, the Chauncey and Marion Deering McCormick Foundation, an Illinois Arts Council Fellowship and a Fulbright Fellowship in Sicily. Recent exhibitions and projects include a public project titled River Assembly on the Chicago River, an exhibition titled How to give life to a mountain at the DuSable Museum and a British Council Arts and Social Practice Fellowship.